Australian Senator and Defence Minister Marise Ann Payne answers questions from the media on the sidelines of the Association of Southeast Asian Nations (ASEAN) Defense Ministers' meeting at Clark Field, Angeles City in Pampanga province, north of Manila, Philippines October 24, 2017. CLARK FREEPORT ZONE, Philippines - Australia on Tuesday announced the expansion of its security support to the Philippines, which will involve training in urban counter-terrorism, to fight the rise and spread of Islamist militancy in the region. The announcement follows the end of the 154-day battle for Marawi city which stunned the Philippine’s military inexperienced in urban combat, and fueled concerns Islamic State loyalists wanted to use the southern island of Mindanao as a base for Southeast Asia activity. The battle for Marawi ended on Monday. Philippines authorities said 920 militants, 165 troops and police and at least 45 civilians were killed in the conflict, which displaced more than 300,000 people. Australia, along with the United States, Singapore and China, provided weaponry and technical support, including surveillance aircraft. 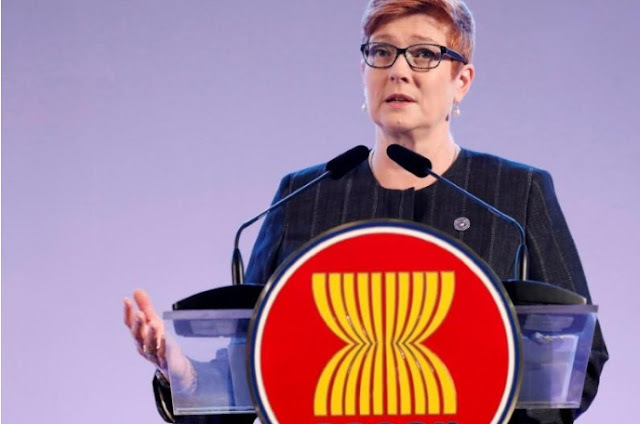 “All nations must learn from the recent Marawi conflict and the Philippines’ experience,” said Australian Defence Minister Marise Payne, adding Canberra and Manila will host a post-conflict seminar to learn from the five-month Marawi conflict. About 80 soldiers from Australia’s mobile training team will be deployed in local bases in the Philippines to train army and marine units in urban counter-terrorism warfare, said Payne on the sidelines of an ASEAN Defence Ministers Meeting in Clark, a former U.S. air force base. “The practical training the Australian Defence Forces (ADF) will provide will ensure the Philippines defense force is better able to counter the brutal tactics being employed by terrorists,” Payne told a news conference. Payne said Australia was concerned with Islamic State fighters returning from Iraq and Syria to home countries in Southeast Asia and was working closely with Indonesia, Malaysia, Philippines and Singapore to monitor militant movements. Philippine Defense Secretary Delfin Lorenzana said in the same briefing the government had been provided by Kurdish intelligence, through Manila’s embassy in Baghdad, with a list of Indonesians, Malaysians and a few Filipinos who might return home. Lorenzana said the Philippines and Australia are now reviewing the deployment of surveillance planes, which flew four times a week over Marawi since late June. Apart from urban warfare training, Australia will also enhance provide intelligence, surveillance and reconnaissance capability, share information and intelligence and strengthen maritime security engagement and bilateral maritime patrols. An increasing number of Australian warships are expected to make visits to Manila. Canberra is also emerging to be the top source of education and training for local troops. Australia on Tuesday announced the expansion of its security support to the Philippines, which will involve training in urban counter-terrorism, to fight the rise and spread of Islamist militancy in the region. The announcement follows the end of the 154-day battle for Marawi city which stunned the Philippine’s military inexperienced in urban combat, and fueled concerns Islamic State loyalists wanted to use the southern island of Mindanao as a base for Southeast Asia activity.